A woman who is a member of a megachurch in Georgia is suing her pastor. The woman alleges that the pastor pushed her forehead so violently that it caused her to fall to the ground where she struck her head. The woman is contending that the force of the fall caused a traumatic brain injury resulting in permanent damage. She has filed a personal injury lawsuit against the pastor and the church. The pastor generally blesses is patrons by gently touching them on their foreheads. 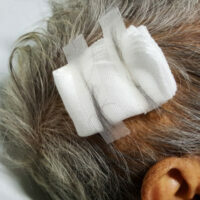 The plaintiff alleges that, for whatever reason, when he got to her pushed her head with such extreme force that it caused her to fall backward where she cracked her skull on the hard floor below. According to her lawyers, the plaintiff suffered from “mild traumatic brain injury” which she says she is still recovering from a year after the incident occurred. The plaintiff, who has been a member of the church for nearly 40 years, is claiming that the megachurch inadequately trained its pastors in the correct way to bless the faithful. She thus believes the church is at least partially responsible for injuries. It’s unclear how much money the plaintiff is looking for in this lawsuit. She is alleging that the megachurch should be held responsible for her injuries, medical bills, pain and suffering, emotional distress, and that because of her injuries, she will suffer permanent psychological and physical problems. The plaintiff says she has returned to the hospital several times complaining of headaches and dizziness, but the church’s insurance has refused to cover her medical bills. Her lawyer says this is what forced her to file the lawsuit in the first place. The defendant is a decorated church veteran who has won numerous prestigious honors throughout his lifetime. Those include the Martin Luther King Jr. Drum Award in 1999. He was also listed among the Who’s Who in Black America in 2002. He has been working at the Hopewell Megachurch for the past 38 years and founded several initiatives including Ministers Against Drugs. The part of the story that may prove difficult to get jurors to buy is the question of how the decorated pastor could mistakenly apply an unnecessary amount of force to the forehead of one of the congregants, while simultaneously applying a reasonable amount of force to all the others. Lawyers for the church will likely argue that their client applied no more force to the plaintiff’s head than anyone else’s. They will then argue that the woman passed out during the exchange, hitting her head on the floor. This story could resonate with jurors. Then the question becomes, should the church have known that some of their parishioners might lose consciousness during the blessing? If the answer is yes, then perhaps a better angle to take would be to claim that the church was negligent for not providing a softer landing spot for its congregants. The plaintiff’s attorney is arguing that the defendant was not adequately trained in the proper method of delivering blessings. If you’ve been injured by another person’s negligence, you may be entitled to damages. The attorneys at the office of Alan Goldfarb, P.A. have handled numerous cases throughout the city of Miami. Give us a call at 305.371.3111 and will begin discussing your case right away.